Prices Exclude VAT ProgeCAD Pricing in Ireland from AxonWare. Get ProgeCAD Pro 2019 . Order Online from the leading ProgeCAD Discount Reseller in Dublin Ph:+353-16535178. Best place to Buy ProgeCAD. ProgeCAD 2019 is a very powerful DWG/DXF-native 2D/3D CAD software application. ProgeCAD is an incredibly cost-effective AutoCAD® replacement just built for professional drafting. A great solution for AEC, MCAD and all generic CAD usage. This new major release ProgeCAD offers standard CAD features as well as numerous handy add-ons such as a PDF to DWG Converter, easy-to-use revolutionary Render engine, Block Libraries (over 22,000 blocks), a Raster-to-Vector module, Google Earth integration, Shape file Import, Perspective Correction, an EasyArch plugin for architects, 3D PDF export, Traceparts and Cadenas portals integration with free access to thousands of blocks etc. If you are involved in CAD in any way you just have to check out ProgeCAD 2019 . ProgeCAD has been around for a long time and has a huge customer base. Lots of blue chip customers now rely on ProgeCAD as their CAD solution throughout their organisations. The good news is that ProgeCAD still comes as a perpetual license with an optional subscription extra - if you want 12 month upgrades and support cover. ProgeCAD Professional is a stable release on the latest IntelliCAD platform and is beefed up with further new features and add-ons, offering users a wide range of new efficient commands and options, enhanced tools and features as well as error fixes. • Offers very high compatibility with AutoCAD® and Direct Modelling in native DWG file format. ProgeCAD is an AutoCAD® compatible 2D/3D CAD application that works with AutoCAD® DWG files from AutoCAD® 2.5 through AutoCAD® 2019! It is a great solution for AEC, MCAD and all generic CAD usage. Whats New in ProgeCAD ? New integration with Artisan Renderer (included free). The Renderer allows you to create a photorealistic image of your model quickly using a wide range of pre-set materials and lighting setups combined with the ability to create custom lights and realistic materials. Create hatch patterns from images, blocks, external references (xrefs) and wipeouts. Export to 2D .pdf files now includes new compression modes, image clipping and gradient hatches. Controls the dimming for Xref entities and entities on locked layers. Now ProgeCAD supports the XFADECTL system variable and controls the amount of fading within a reference being edited in place. ProgeCAD now supports the 3Dconnexion SpaceMouse. The 3D Mouse allows you to simultaneously pan, zoom and rotate models while selecting with your traditional mouse. This unique two-handed workflow makes design work more comfortable and efficient. The commands allow you to maximize and minimize Viewports. VPMAX expands the current viewport for editing and VPMIN restores the current layout viewport. The advantage of using these two commands is that you can pan and zoom while you are in Model Space, and when you go back to Paper Space the position and the scale of the objects in the Layout viewport remain unchanged. Default layer for all dimensions. Specifies the default layer for new dimensions, overrides the current layer - the CLAYER system variable. In the hatch dialog, the user can set the Default layer (overriding the current layer ‘CLAYER’) and set the level of transparency for new hatches. Changing these values does not affect existing hatch objects. For .pdf, .dwg and .dgn underlays, new support includes monochrome, fade, background colour adjust, show and show clipped properties. ISOLATEOBJECTS temporarily hides the display of all entities except those you select. The entities are displayed in the current view. All other entities are temporarily hidden. HIDEOBJECTS temporarily hides selected objects in the current view. All other objects are visible. UNISOLATEOBJECTS displays entities previously hidden with ISOLATEOBJECTS or HIDEOBJECTS. The new command for editing single block instances. The new Rename command with an advanced interface. Save and open drawings in the Cloud! 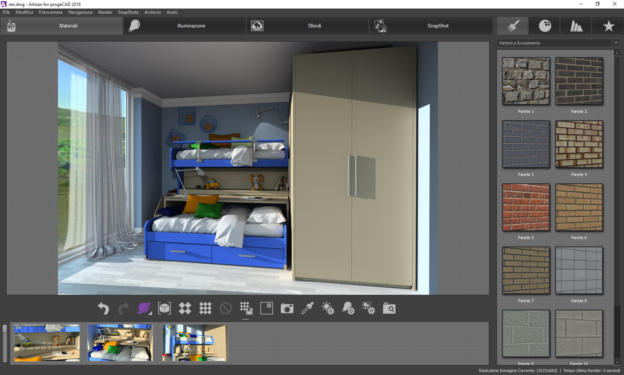 ProgeCAD Cloud makes it easy for you to reach any of your drawings wherever you are. What is more, it is an optimal way of sharing drawings with your team and customers. ProgeCAD Cloud supports the major cloud services for file sharing and syncing like DropBox, Google Drive and Microsoft One Drive. The previous ProgeCAD versions constrained the drafter to constantly change the XY plane to work on a particular face or plane of an object when working with 3D models. You had to specify a new user coordinate system every time you changed views. The new dynamic UCS feature automatically creates a temporary XY plane to draw on and dramatically speeds up drawing in a 3D environment. 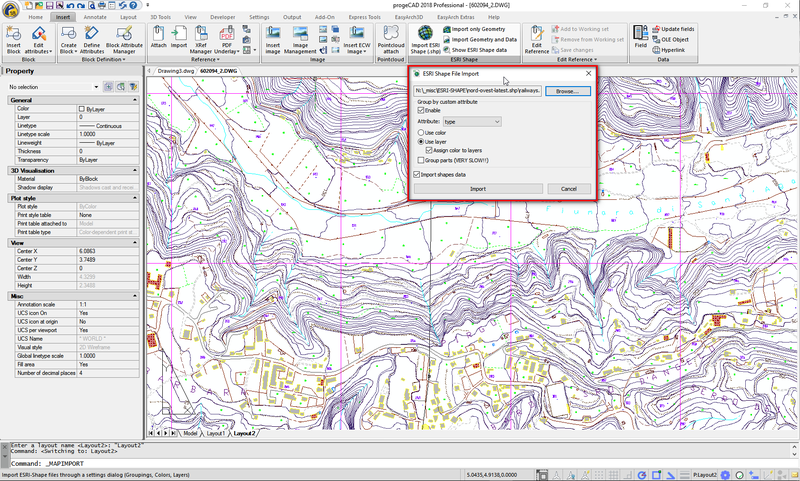 The Field tool automates the insertion of titleblock text or any other annotations in a drawing. If you insert titleblock text in your drawings, you know how it is difficult to keep that text updated and accurate. There are also many people who place drawing numbers or names in several different places in a drawing and that involves extra work. 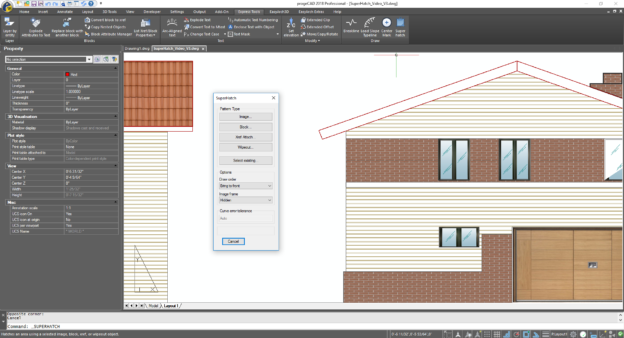 With ProgeCAD you can use fields to automate the insertion of titleblock text or other annotations in a drawing. If you use this text repeatedly, you can definitely save time and improve accuracy. Examples would be when you have to use the current date, the drafter’s initials, the company name and address and so on. This command creates a breakline, a polyline including a breakline symbol, by specifying two points and the location of the breakline symbol between them. You can control the relative size and appearance of the breakline symbol and the extension of the polyline beyond the selected start and end points. ProgeCAD can create PDF files compliant with the PDF/A Standard. The PDF/A file format is often a requisite for official institutions and public administrations. The PDF/A file format is an ISO-standardized version of the Portable Document Format (PDF) specialized for the digital preservation of electronic documents. PDF/A differs from PDF by prohibiting features ill-suited to long-term archiving, such as font linking (as opposed to font embedding). can be installed on unlimited PCs in the network and used at the same time by several users according to the purchased licenses (1 NLM=1 concurrent user). The number of network floating licenses determines how many users can work with the product concurrently, so in accordance with this the necessary number of licenses should be acquired. License Take-Away: NLM licenses can be temporarily moved onto a laptop or a remote PC to be used offline. Max flexibility!